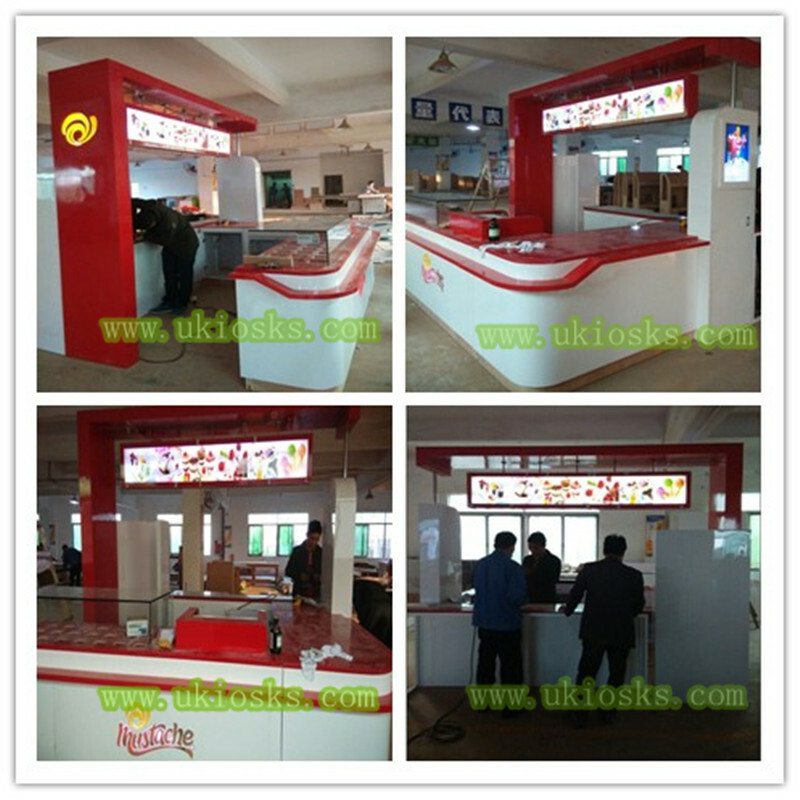 Warm welcome visit our factory. 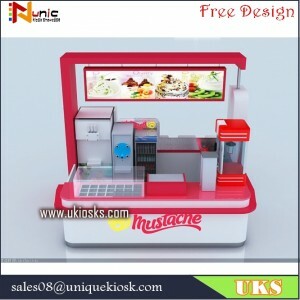 Deails about this kiosk for you. 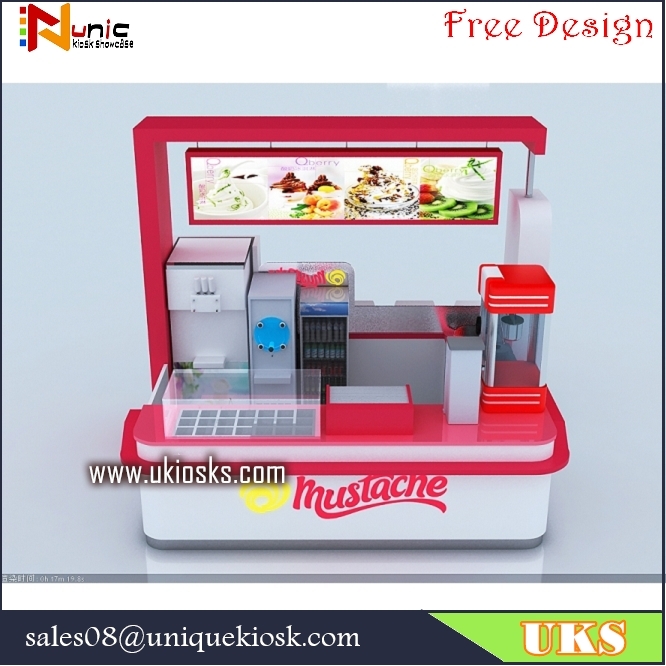 This is a ice cream kiosk, size is 4m by 3m, mainly material is plywood, laminate finish, artificial stone, stainless steel skirting, tempered glass and so on. send the design for your check , if you have something want to change about this kiosk we can change it for you, we can provide three time change for free. 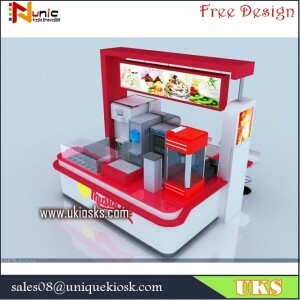 confirmed the design, drawing construction plan for this kiosk to you. payment 50% deposit,50% balance before shipping. 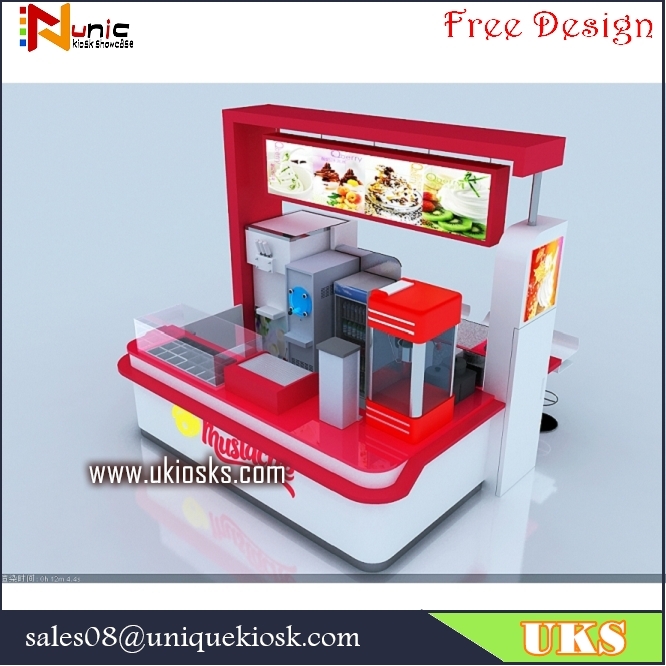 production this kiosk to you. about need 20-25 work days, we will take some production pictures for your check. 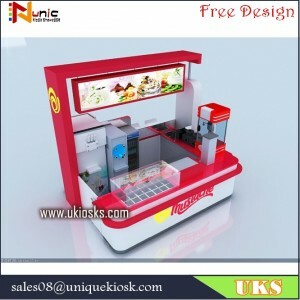 packing , shipping this kiosk to youe port. 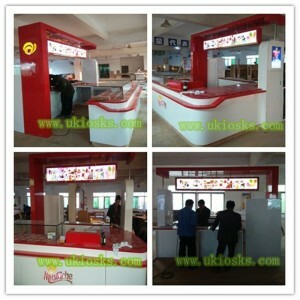 If you interest in our kiosk, please contact us freely, looking forward to your inquiry, warm welcome visit our factory.